Gedeon is originally from Guatemala, but has been living in New Mexico since 1993. 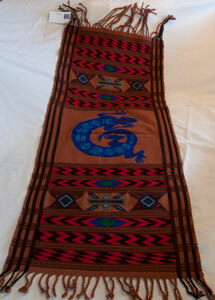 He learned to weave at an early age and sold weavings to help pay for his education. 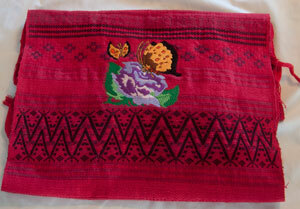 All handmade weavings are produced on a backstrap loom with cotton thread using traditional designs from Guatemala. 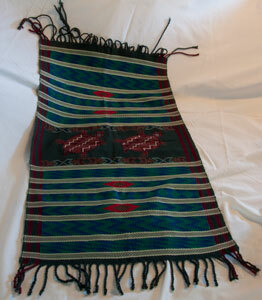 His newer weavings are being incorporated with southwestern designs. Gedeon has demonstrated his work in the weaving department at Northern New Mexico College and has exhibited in the International Folk Art Market, Espanola Arts Festival, El Rito Studio Tour, as well as Albuquerque.